Link It Solutions LTD specialises in Home Automation & Media Design. Steve and his team work across London and help clients to ensure that they create unique, bespoke spaces that truly have the WOW factor. Whether you are looking to create a cinema room for entertaining or need security solutions in place, Link It Solutions LTD can help. Give us a call or leave us message and let us help you design your smart home. Smart Home Solutions At Custom Electronic Design we believe excellent system design and installation come from a focused dialogue with our clients and detailed planning at the early stages of the project. We provide creative solutions with attention to detail throughout the installation process, from design through to commissioning. 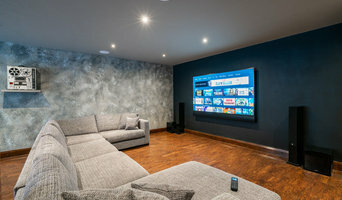 At our Head Office in Egham, Surrey, we offer 2 floors of demonstration facilities where we provide a relaxed environment to view new and exciting Smart Home Control Solutions, Multi Room Audio and Video, Lighting, Automation, Home Cinema, Media Rooms and we still maintain a Hi Fi showroom as well! Airwave Audio & Vision specialise in the design, integration and installation of audio visual equipment and home automation systems in London. We offer our clients a comprehensive service, designing and installing high-end, multi-room, home entertainment systems to meet your specific requirements. 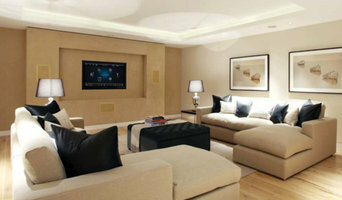 Airwave AV have been installing Multi-Room AV and networking for houses all over London since 2002. Fully equipped to handle projects for both domestic and commercial properties, Airwave AV take pride in providing our customers with an exceptionally high level of service when it comes to the installation of audio visual systems and home automation in London. Digital AV London are your one-stop solutions experts converting your home with Smart Technology, Home Cinema and Sound and much more. With over 30 years combined experience in the Digital Audio Visual space we can help you every step of the way to achieve a complex system in your home that's easy to use. From Multi-room audio & video to smart home automation, climate control, data & wifi networks, security and door entry, or motorised blinds and curtains. At Digital AV London we transform your way of living by putting all controls in one place: the palm of your hand. Based in Wimbledon we serve all areas of London. Our primary areas include Merton & Wandsworth, Kingston & Richmond and Central London. Our portfolio of clients include homeowners, property developers, retailers and restaurants, home & design professionals, hotels and more. Whatever the scope and size of your project, Digital AV London are here to help you. We offer turnkey solutions including the selection and supply of all electronics. What project are you planning? We are home automation specialists! Home 21 is a custom installer of home automation, IT networks and audio visual systems, helping clients upgrade existing installations to whole house refurbishments. We install multi-room audio systems, smart lighting systems, distributed AV, CCTV, electric blinds, managed Wi-Fi solutions, bespoke apps for homes and apartments, and smart intercom systems. Every system we install is specifically tailored for project, with a incredibly high attention to detail. Our team of engineers, electricians, IT technicians and home automation specialists are industry experts, providing the best customer service and design recommendations in today's market. We are registered NICEIC installers and so are able to do any electrical work need to support our smart home systems. Get in touch today! What else can Uxbridge, Greater London home automation companies do for me? Aside from the (now fairly widespread) smart thermostats that can be controlled remotely, Uxbridge, Greater London home automation specialists can install your home with all sorts of technology and media products to help your home become as efficient and accommodating as possible. Not only can your heating be monitored and controlled using smart technology, but so can your other utilities and bills. Energy monitors tell you how much power you are using and timed or remote controlled adapters allow you to reduce the amount of electricity you use by making sure you only have items switched on when necessary. What home entertainment can Uxbridge, Greater London smart home installers install? Home automation and smart technology is not just about making your home more energy efficient and secure, there’s also some fun to be had. Home media and home cinema installers in Uxbridge, Greater London can kit out your home with the latest technology such as smart TVs, media streaming devices, speaker systems and smart home assistants. 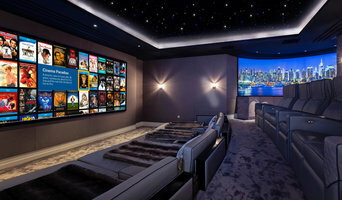 If you’re after the full home cinema experience, Uxbridge, Greater London home cinema specialists not only can design the seating and decor for your dream home cinema, but most of them can help you find specific media control options, conceal your television and various accessories, set up optimal seating, choose and install ideal lighting, and help create the ultimate viewing environment. Find a home automation company or home cinema installer on Houzz. Narrow your search in the Professionals section of the website to Uxbridge, Greater London home automation companies and home cinema specialists. 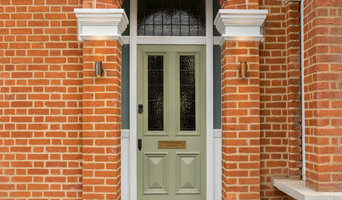 You can also look through Uxbridge, Greater London photos by style to find a media or technology installation you like, then contact the professional who designed it.